With factory prices from $799, our "COMBO" sauna heater features a deep rock section, a vaporizer tray and 100% stainless steel construction with fast warm-up time. A built-in water reservoir allows water to be vaporized to raise the humidity in the sauna. Our sauna heaters are ideal for "wet" saunas, "dry" saunas, hot rock saunas, home saunas and Finnish saunas. Review all 74 electric & wood sauna heater models - the best sauna heater selection online. FREE Shipping to USA Destinations! with our Sauna Building Plans! 164 Drawings Made it Easy! Vaporizer feature automatically creates humidity or "steam"
Our large volume allows us to sell at lower prices! Exclusive Bonus Offer - FREE Sauna Building Book! The most unique feature is the built-in water compartment so water can be automatically brought to a boil and vaporized into the sauna air to raise the level of humidity to a more comfortable level for greater sweating. The two high-efficiency chambers on the outer edges allow heat into the sauna for faster start-up. Limited Lifetime Warranty is included. The elements are long lasting and superior to the regular stainless steel elements used in other sauna heaters that have only 2 or 3 year warranty. The use of surgical-grade stainless steel eliminates off-gassing from metal or painted parts inside the sauna heater. Saunas are to help us detox. #1 DEC - Digital Electronic Control - our most popular sauna control for Combo Heater. #2 OMC - Outside Mechanical Control - mechanical sauna control - timer has "ticking" sound. #3 BIC --- Built-in Control mounted on the heater - same mechanical controls as in #2 OMC. UL-Approved for Sale in U.S.A. Most sauna heaters require a dedicated 240 volt hard wired circuit. Every home has 240 volt electricity. Correct name is 240 volt. Add 3" to 4" spacing for the heater guard. Normal sauna room height is 7' maximum. Use 1 Kw per 46 cu ft - for sauna height 78" to 84"
Use 1 Kw per 40 cu ft - for sauna height 85" to 96"
** Sauna warm-up time of 15-20 minutes is based on a maximum inside height of 7', plus the heater correctly sized to the room and the thermostat setting. Most saunas warm-up in 20 minutes or less. Why Buy a "COMBO" Sauna Heater at Home Saunas Since 1974? Over 65,000 Customers Confirm! "Our Experience Makes the Difference!" BEST LOW PRICES: You can buy your "COMBO" sauna heater HERE at low factory-outlet prices because of our volume sauna business! See our Price Guarantee to the right (in green) >>>>>> BEST TECH SUPPORT: As a sauna manufacturer and factory-outlet sauna store since 1974, our sauna experts are trained by our Finnish Sauna-Guru, Pertti Jalasjaa, to give you lots of support & advice as needed. We've been there - done that since 1974 - and happy to share our sauna heater knowledge & sauna building experiences with you! We're here to make this easy for you! BEST INFO SUPPORT: Every customer gets a copy of our best-seller sauna building book, "The Art of Sauna Building" with our compliments. The book will help you build a great sauna. It has helped over 65,000 sauna builders already. (Read some of the reviews the sauna book has received). BEST WARRANTY: Your purchase of a Saunacore "COMBO" Sauna Heater includes extended heater warranty (Limited Lifetime Warranty in residential use). Most sauna heaters on the market today offer only a 2 or 3 year warranty. BEST REASONS to Buy a Sauna Here: Helping you to buy your sauna or "COMBO"sauna heater from the right source is as important to us as it is to you. Read the 6 Big Reasons Why You Should Buy a Sauna Here. Every "COMBO" electric sauna heater can be used safely with water thrown on to the hot rocks to increase the humidity so the air is not too dry. There is no harm done to the elements in home use. Or you can run the equipment as a dry sauna heater with no water. Coming Soon: The Importance of Humidity for Health and Sauna Enjoyment. From a Customer: I like a wet/soft sauna. Is the COMBO heater my best bet? How many pounds of rock does it hold? My room is 6x6.6 and 7 feet high. Do you recommend 6 kw or 7.5 kw? ... Project – in 1-3 months. Answered: This heater delivers a soft heat as the rocks are mixed in among the elements. The deep rock feature allows for more wet steam when you want it. The port vents on the side give you great efficiency and a fast warm-up. All galvanized parts, painted steel parts and aluminum have been eliminated by the use of stainless-steel components. Medical experts highly recommend the stainless steel sauna heaters for people who have sensitivities, have experienced allergies or for those who may develop sensitivities in the future. All COMBO electric sauna heaters are CSA-Approved and UL-Listed in the U.S. to meet the latest electric sauna heater standards and safety code requirements for sale in Canada and U.S.A.
Best Selling Sauna Heater ... is our Special Edition with limited lifetime warranty. Steam Sauna Heater ... we have the sauna heaters for wet saunas and water on the rocks. Home Sauna Heater ... is usually electric and chosen by 85% of sauna heater buyers. Electric Sauna Heater ... is sometimes called a sauna unit or sauna oven. Dry Sauna Heater ... is a traditional wet/dry sauna heater used with no water during the sauna. Wood Sauna Heater ... refers to a sauna wood heater or a wood burning sauna heater. Finnish Sauna Heater ... refers to a volume made-in-Finland electric sauna heater. Gas Sauna Heater ... will cost $2,000 to $3,000 or more to install than an electric sauna heater. heater for Sauna ... buy a sauna heater from the best source: Home Sauna Kits Since 1974. Sauna Heater Dealer ... the best sauna dealer with 75 heaters: Home Sauna Kits Since 1974. Home Saunas Since 1974 has the best selection of 74 sauna heaters, wood-burning heaters and sauna equipment. DIY sauna kits, traditional saunas, Finnish saunas, Russian banya saunas. Our factory supplies the USA and Canada with sauna heaters & sauna kits at low sauna factory prices! Why Buy a Sauna Heater Here? 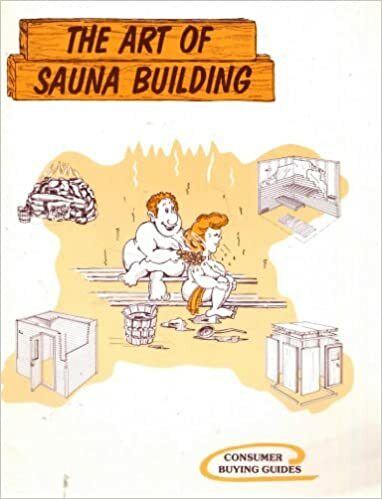 Every heater is shipped with a FREE copy of the best-seller sauna building book, "The Art of Sauna Building". Most of our sauna heater models have Limited Lifetime Warranty.